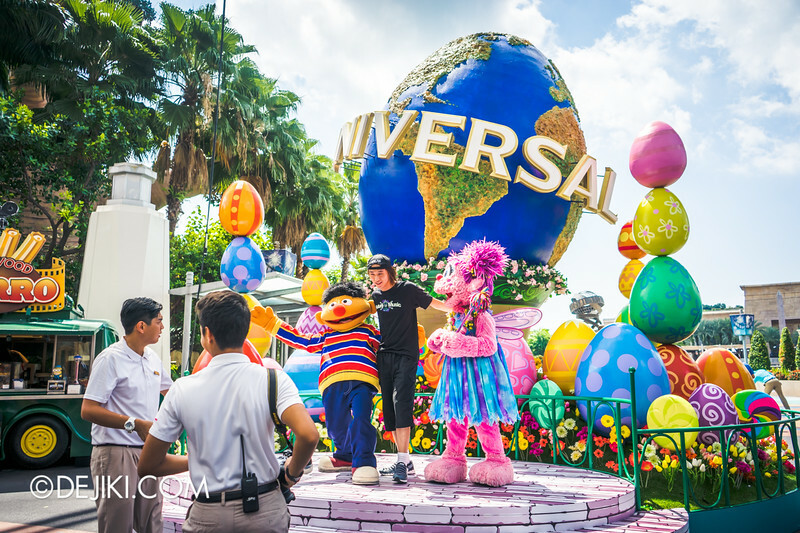 Universal Studios Singapore’s Easter event is bigger and better this year! 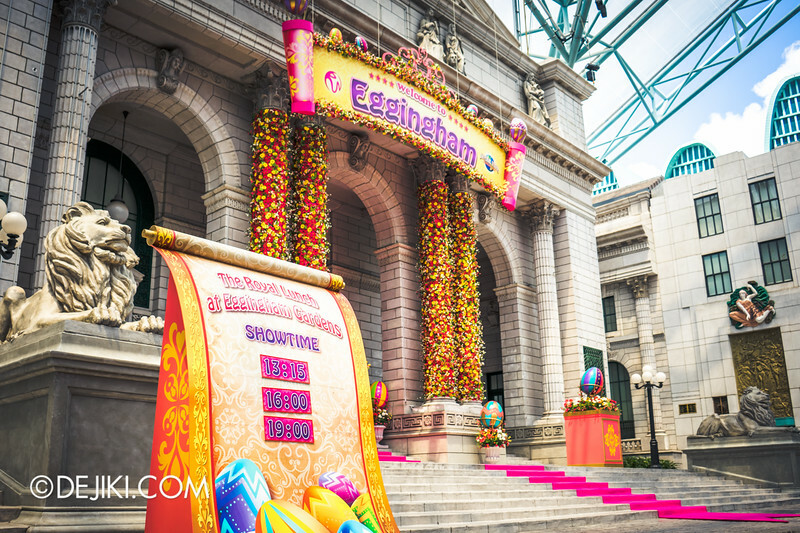 With countless eggs scattered all over the park, it is an Easter Eggstravaganza filled with colourful fun. Check out the all-new Royal Lunch at Eggingham Gardens show, giant eggs and more in this special park update! 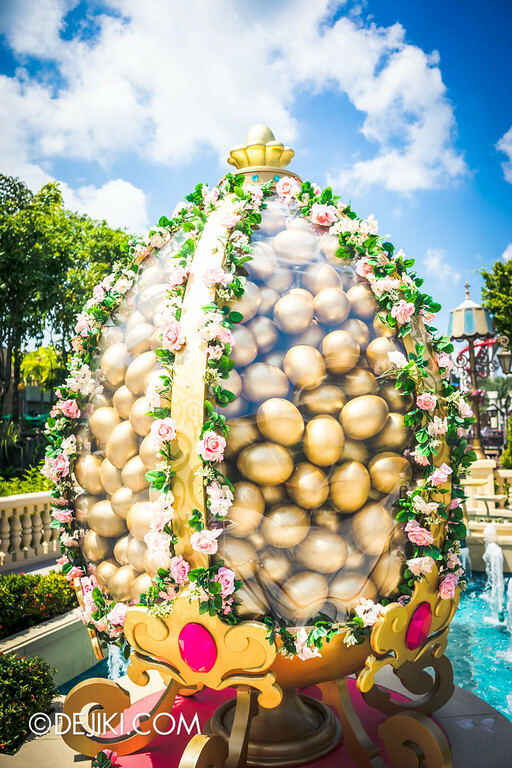 Easter Eggstravaganza is a seasonal park event that starts from 14 March to 5 April 2015. 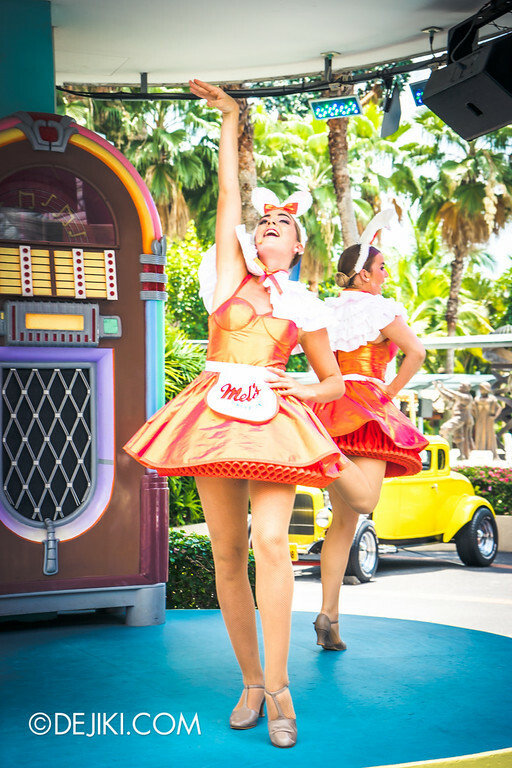 It is included in park admission, so there’s no special ticket required to enjoy the special entertainment and activities. Check out the new arch at the park entrance. 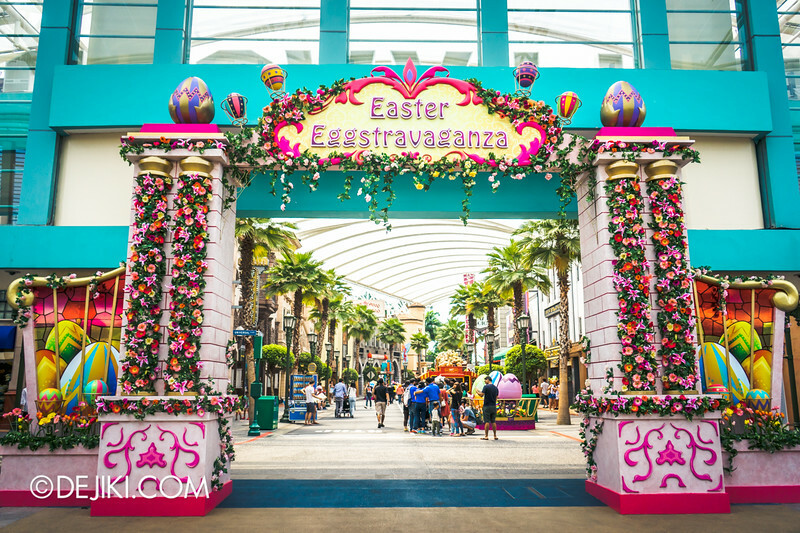 The pink is a little gaudy, but wow – even the Easter event at USS has a customised arch now. The park has come a long way from its “barebones” era of events. (You know, back in 2010, screening films in Pantage’s were ‘special’ events that the park got away with). 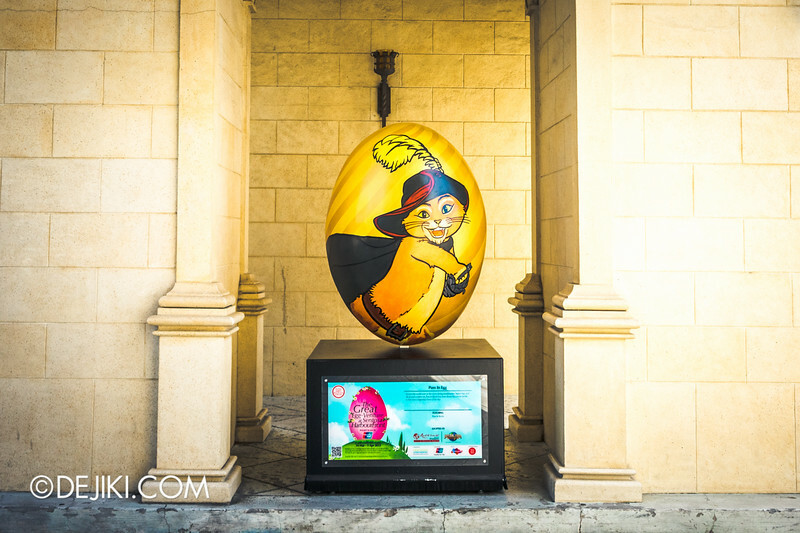 Hollywood has a handful of photo spots – clusters of easter eggs to take photos and greet characters. The Woodpeckers, Minions and Sesame Street friends will be donning seasonal outfits this season! Also, E.B. (Easter Bunny) is back! Some of the park crew are also handing out bead necklaces to guests who interacted with park characters. 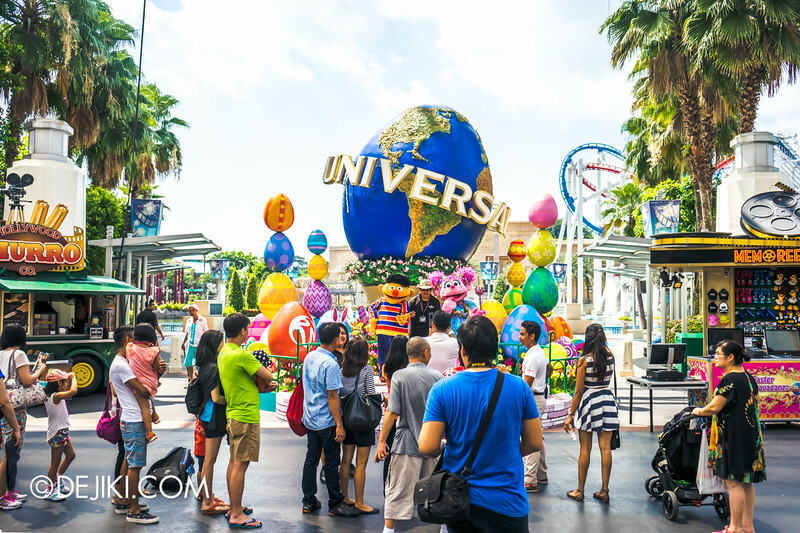 Universal’s Mardi Gras coming to Singapore next year? The key photo op spot is at the usual place in Hollywood. It is better than Easter Egg Island (2014), even though the smaller elements seem to be recycled. A proper platform and focus on details make a tremendous difference. 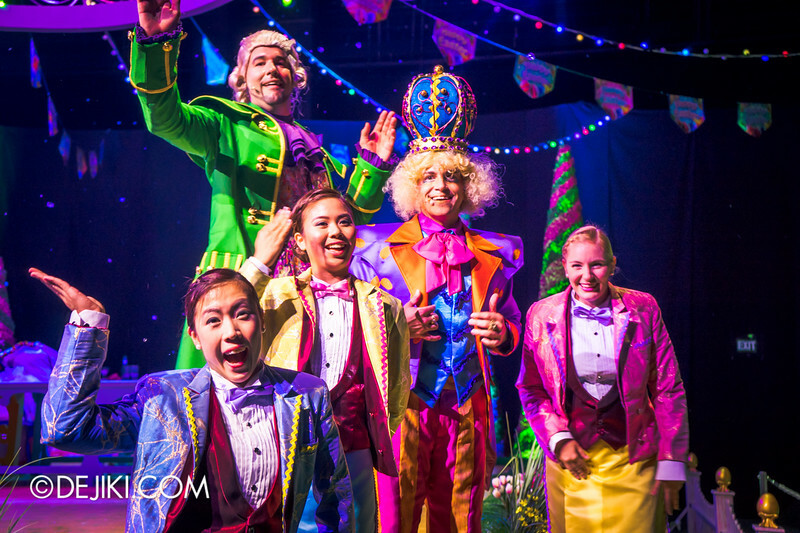 This year’s all-new Easter show takes place in New York – but more on that later. Let’s touch on this year’s new park activity first. 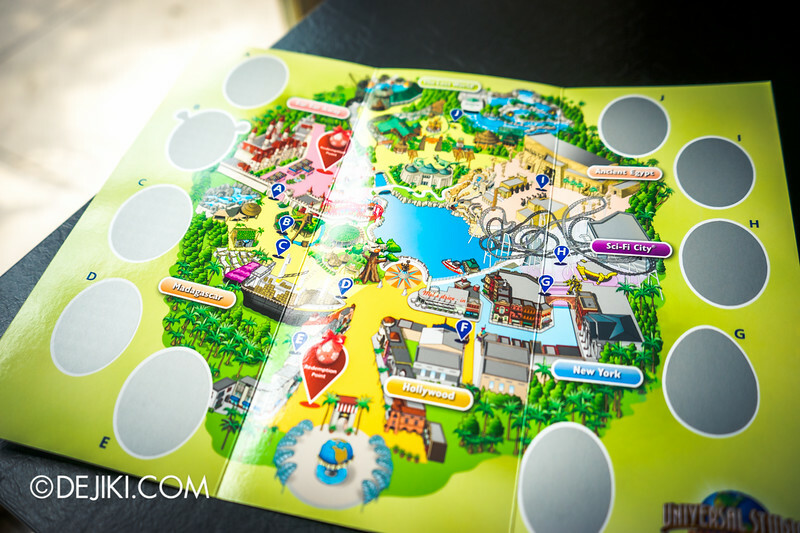 Last year, the park gave out sticker sheets as inserts to park maps. Yeah, stickers that you can paste onto the map. 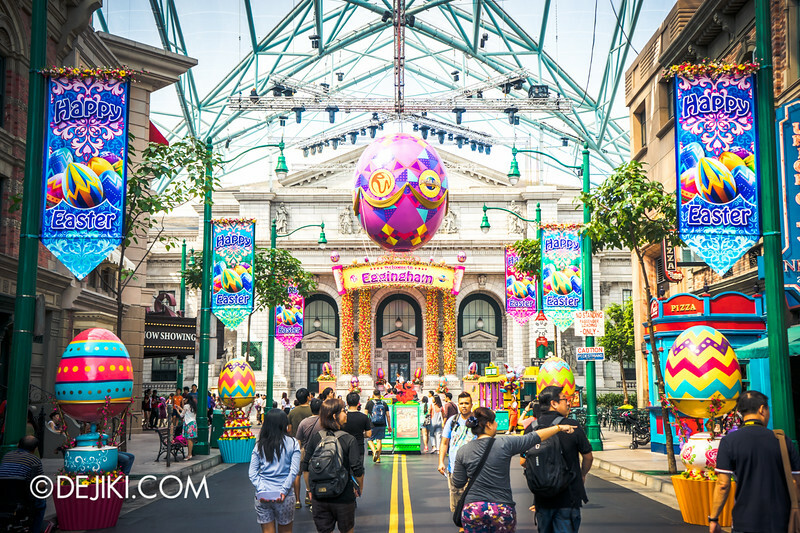 Now this simple park activity of walking around and exploring has a small reward: A chocolate egg! Obviously this whole thing is for kids, but anyone can take part. 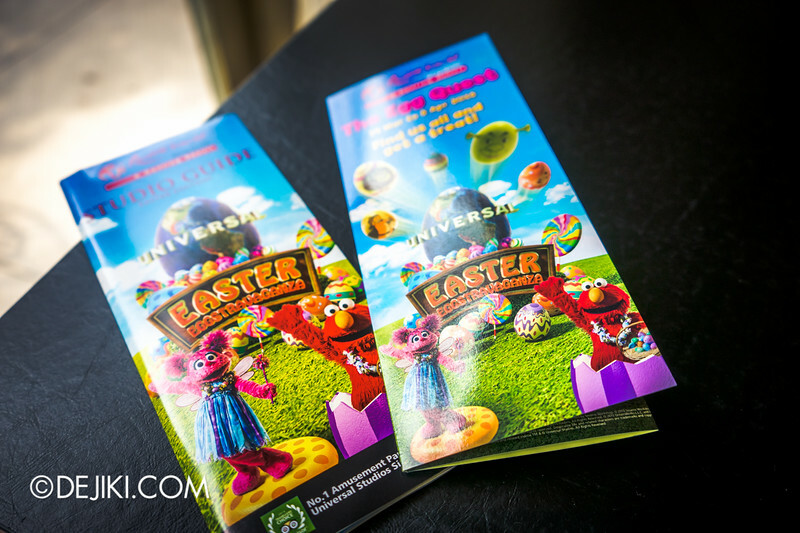 USS Crew members hand out The Egg Quest leaflets to guests at the park turnstiles (after tickets are scanned). 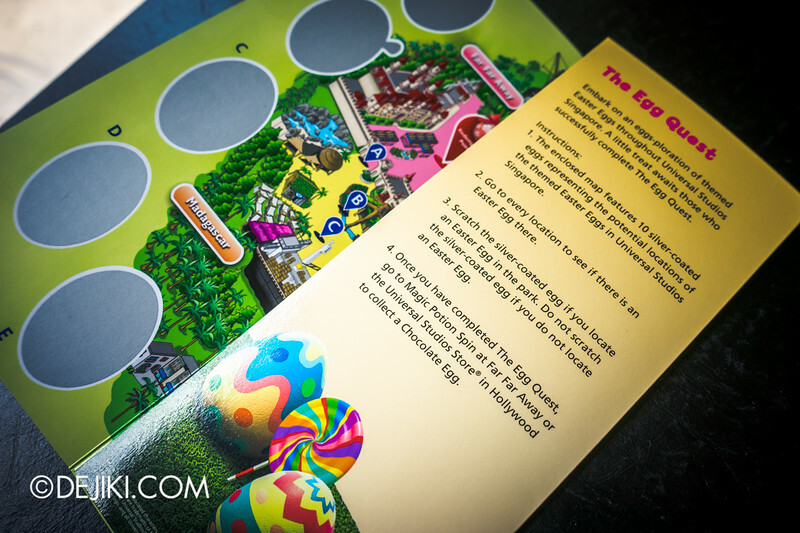 Note that the leaflet looks like the Studio Guide (park map), except that The Egg Quest one has flying eggs in the design. The Egg Quest map has 10 scratch-away silver eggs. 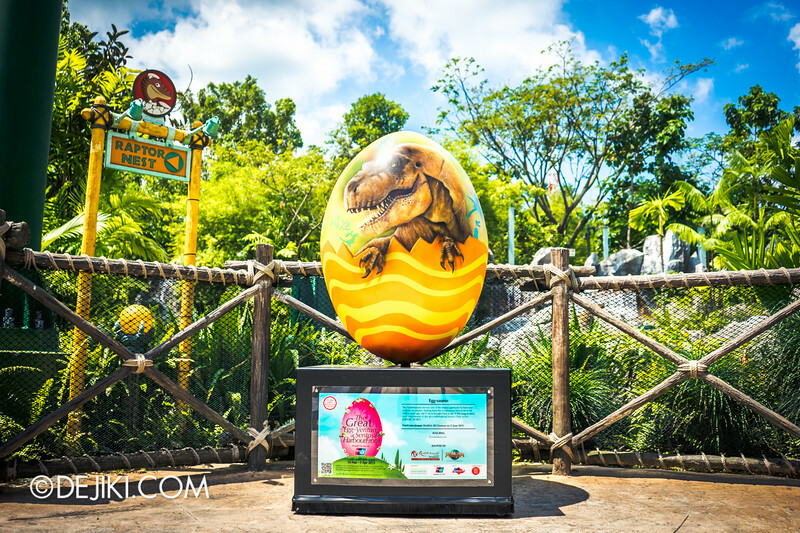 There may be 10 giant eggs around the park, but you have to check if they exist. Scratch away the ones you find, but don’t touch the ones you can’t spot. It’s a simple game that takes less than half an hour to complete. – There are less than 10 giant eggs in the park, that’s for sure. – Eggs of all sizes are all over Madagascar, but only Alex counts! – In the land of ancient curses, searching for eggs is a fool’s errand. – Scroll down to see some of the eggs spotted at the park! 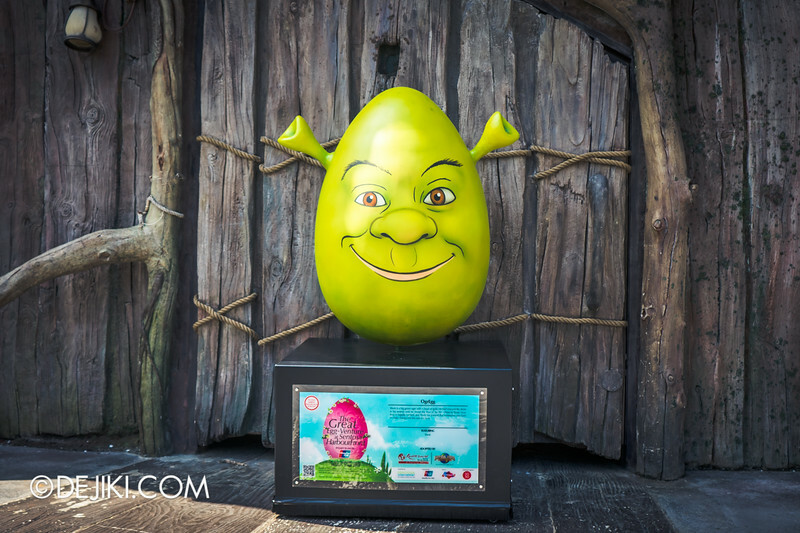 Once you’re done with your lofty quest, visit Magic Potion Spin (Far Far Away) or Universal Studios Store (Hollywood) to get your free chocolate egg. Well, I guess some answers will be revealed in the next section. 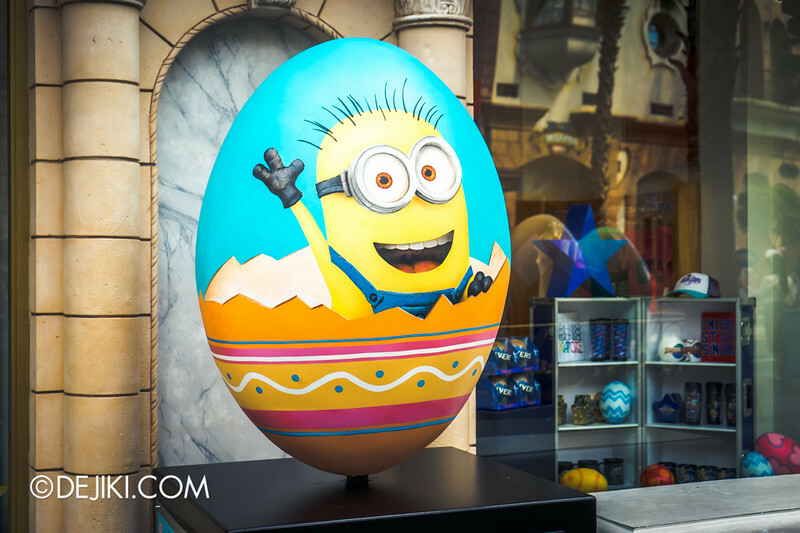 Minion Egg – to remind you that the park not building the Despicable Me: Minion Mayhem attraction. Or that the park’s Minions are wearing rather silly headgear this year. 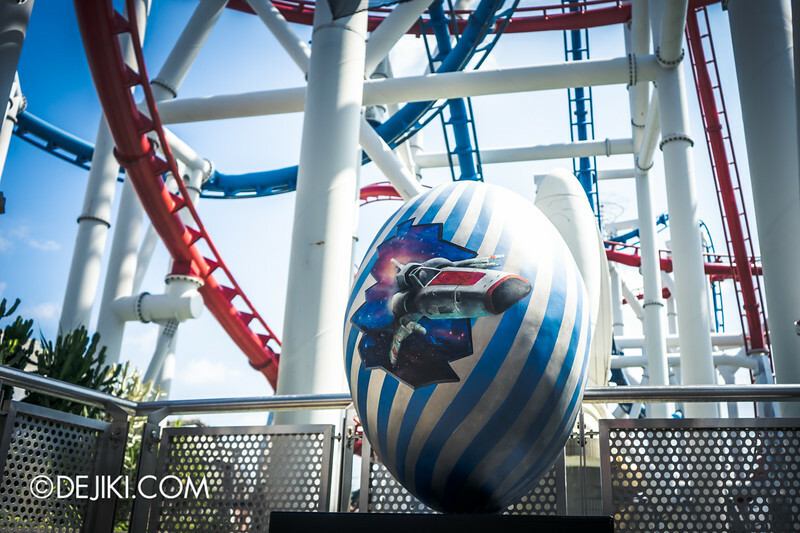 Viper Mark V – A sign of Battlestar Galactica’s reopening. When, you ask? Find out here. Tyrannosaurus Rex – Hidden further than Far Far Away (literally). You’ll need to walk to the Raptor Nest for this. Lots of finely-painted details on this one! Puss in Boots – The legend returns… at a different spot! Shrek – The ogre’s back home. Looks better than last year’s. 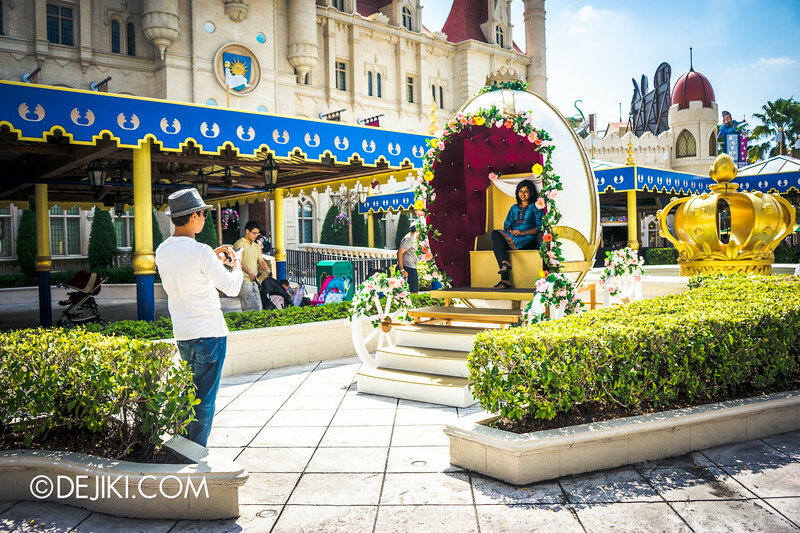 The Egg Carriage – A new Photo Op spot! This is not part of the Egg Quest. 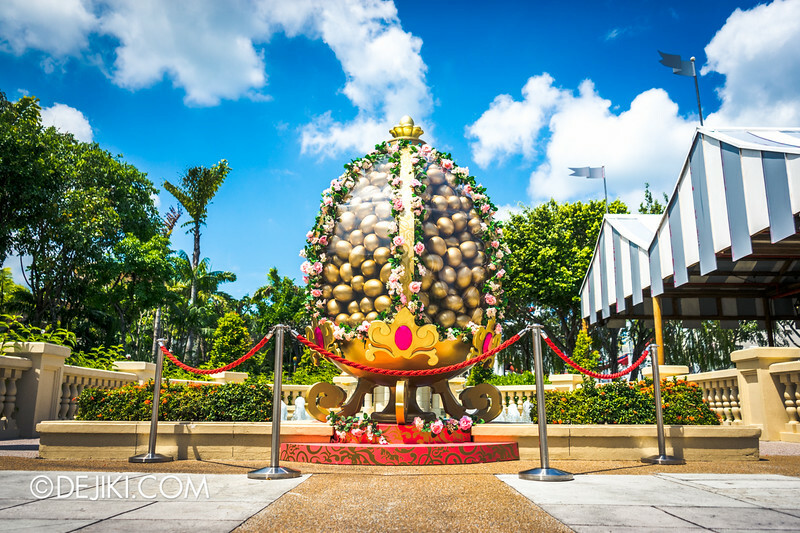 At King Harold’s Fountain, there are golden eggs encased in a giant clear egg. Egg-ception it is. As boggling as this looks, it is also not part of the Egg Quest. 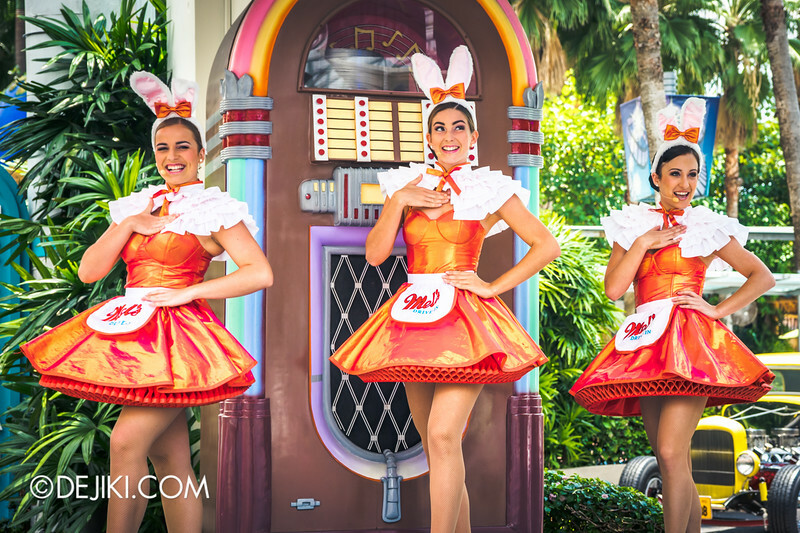 Mel’s Dinettes – The Bunny Girls are back! 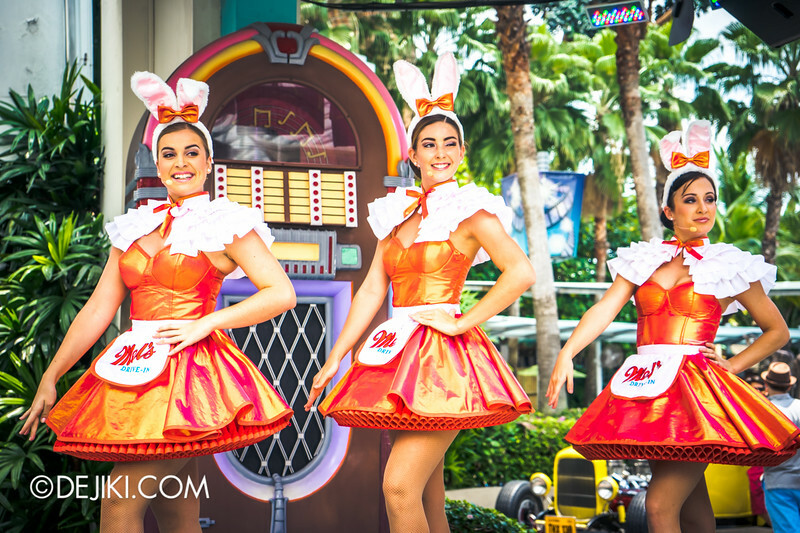 The Mel’s Dinettes are wearing their bunny girl outfits during the Easter event period. There’s no change in the setlist, but the Dinettes rarely alter their uniforms. 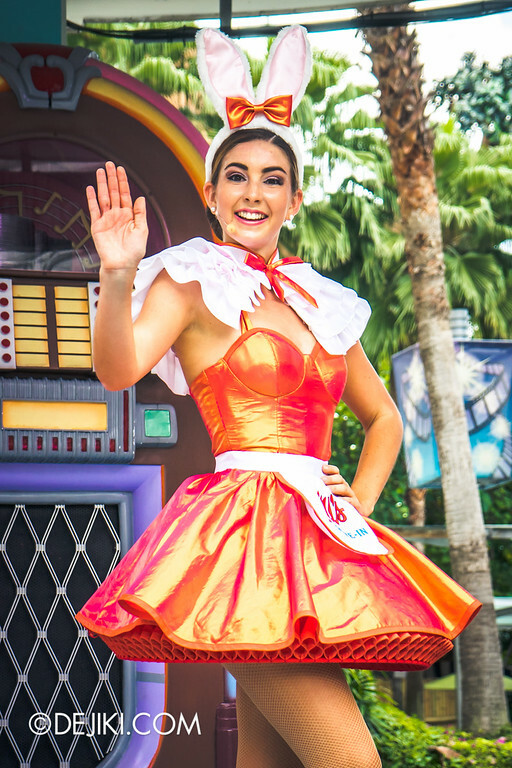 If you’re the sort who MUST take photos with every park character, now’s your chance. Royal Lunch at Eggingham Gardens is this year’s new Easter show. The Egg Lord is back for the season and is hosting a special Luncheon to celebrate his move into Eggingham Palace. With whimsical and punny moments, the Egg Lord’s luncheon is packed with slapstick humour and delightful scramblings of current pop songs! The show is performed in Soundstage 28 and includes a pre-show in New York. BY ROYAL DECREE – Eggingham Special Blogpost! UPDATE: This seasonal attraction now has a NEW feature article on Dejiki.com! Head over to the Royal Lunch at Eggingham Gardens blog post for all-new photos and video clips of the show! 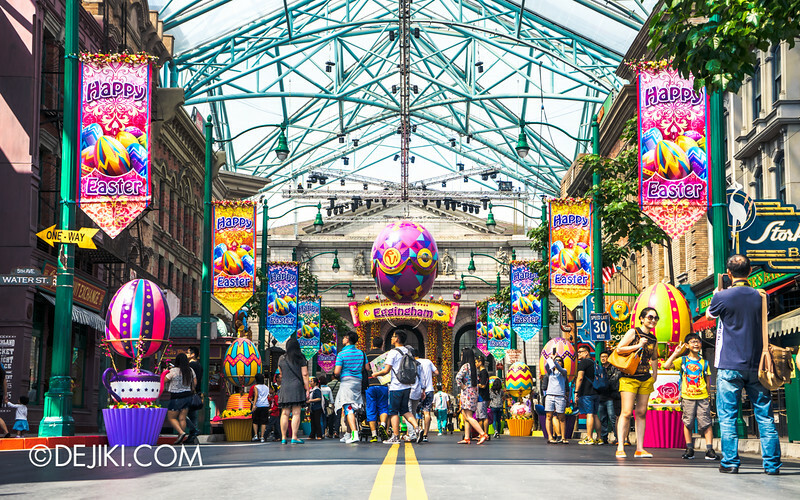 With a bigger and better line-up this year, it looks like Easter events will be a permanent addition to Universal Studios Singapore’s seasonal line-up. 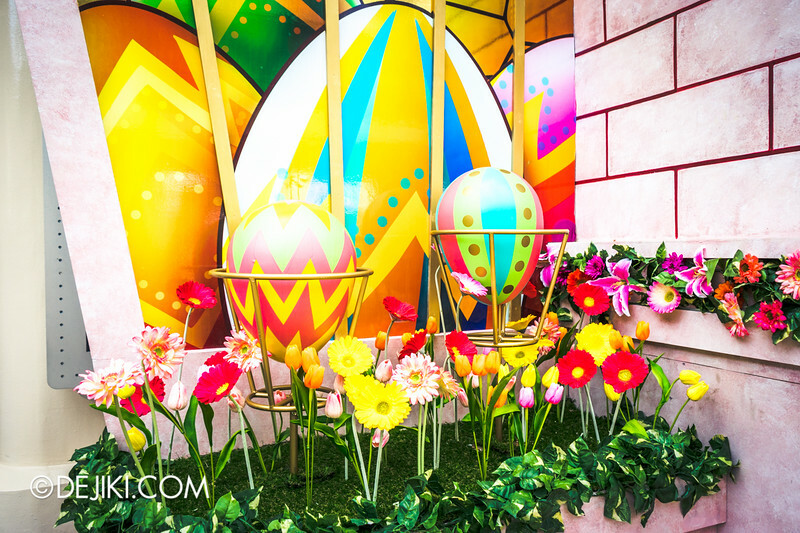 What do you think about this year’s Easter Eggstravaganza? Also, don’t forget to read this month’s park update! Anyway, the Easter Bunny (from HOP movie) has made a return appearance (Meet and greet only). Just that he will not be playing on the drums this year. You might want to include that in the blog. Yes! I’ve got news about E.B on the first day (quite a lot of people were looking for him!) 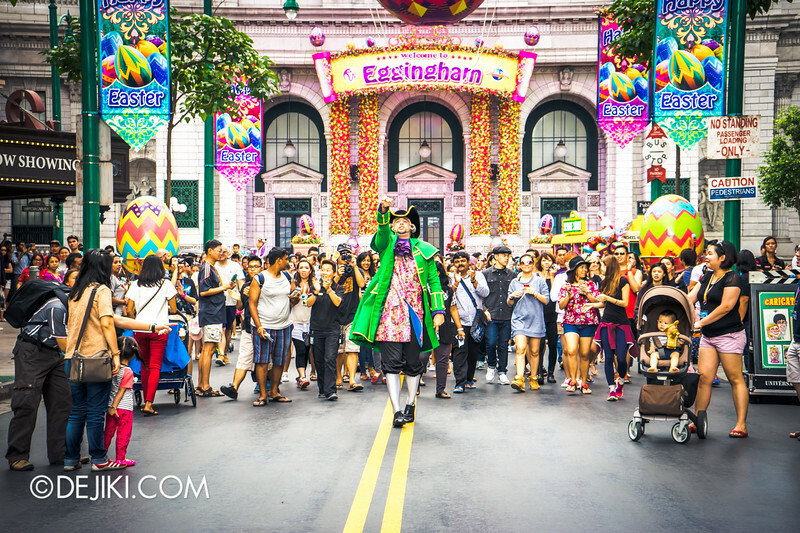 How do you find this year’s line-up of seasonal characters and meeting spots? The key photo op spot at Hollywood is also a great addition (and it is also well constructed) for photo taking as well. Although it is nice to have E.B. there, but I guess it is better to stick to the current plan due to crowds and long queues.